How Many Calories Are Burned in Jogging for 1 Hour? How Many Calories Are Burned From Throwing a Ball? The Callaway X-Series Irons are one of the most popular in the world and one of the most used by professional golfers, according to golfreview.com. The X-18 series is light, looks great and is extremely durable. The line offers 12 clubs, from 2-iron to 9-iron, a pitching wedge, sand wedge, approach wedge and a lob wedge. All of the clubs are made of steel and offered in left- and right-handed form. According to thecallaway.com, the Callaway X-18 2-iron has a loft of 18 inches, a length of 39 1/2 inches and a lie of 59.2 inches. The Callaway X-18 3-iron has a loft of 21 inches, a length of 39 inches and a lie of 59.9 inches. The Callaway X-18 4-iron has a loft of 23 1/2 inches, a length of 38 1/2 inches and a lie of 60.6 inches. The Callaway X-18 5-iron has a loft of 26 inches, a length of 38 inches and a lie of 61.3 inches. The Callaway X-18 6-iron has a loft of 29 inches, a length of 37 1/2 inches and a lie of 62 inches. The Callaway X-18 7-iron has a loft of 33 inches, a length of 37 inches and a lie of 62 1/2 inches. The Callaway X-18 8-iron has a loft of 37 inches, a length of 36 1/2 inches and a lie of 63 1/2 inches. The Callaway X-18 9-iron has a loft of 41 inches, a length of 36 inches and a lie of 64 1/2 inches. The Callaway X-18 pitching wedge has a loft of 46 inches, a length of 35 1/2 inches and a lie of 65 inches. The head of the club is at a 46-degree angle. The Callaway X-18 approach wedge has a loft of 51 inches, a length of 35 1/2 inches and a lie of 65 inches. The head of the club is at a 51-degree angle. The Callaway X-18 sand wedge has a loft of 56 inches, a length of 35 1/4 inches and a lie of 65 inches. The head of the club is at a 56-degree angle. The Callaway X-18 lob wedge has a loft of 60 inches, a length of 35 inches and a lie of 65 inches. The head of the club is at a 60-degree angle. Alan Bass has been writing since 2008. His work focusing on sports topics has appeared in the "Hockey News" and online at Inside Hockey and HockeyBuzz. He received a presidential award from Muhlenberg College for academic and community achievements, in addition to a bachelor's degree in psychology and business. In 2011, he published a book titled "The Great Expansion: The Ultimate Risk That Changed the NHL Forever." 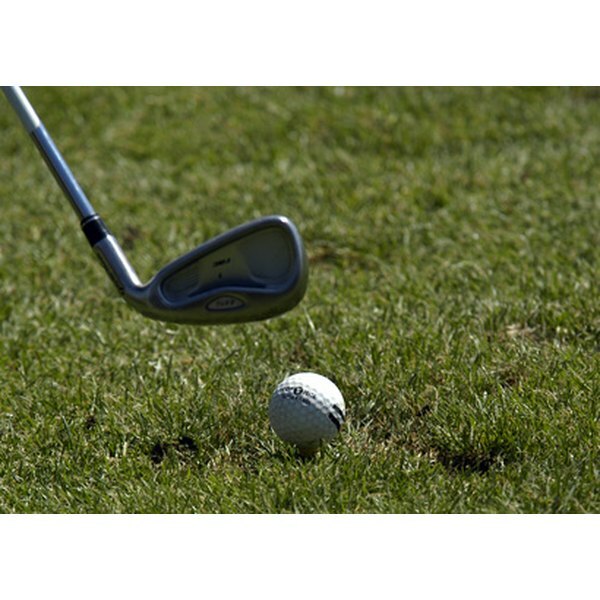 What Are the Standard Lengths for Callaway Golf Club Irons?